‘Sixteen-year-old Audrey Armat is a combination of sugar and steel: Grand Slam contender with a scorched-earth serve and hub of the nine-million-dollar business that is Audrey Armat Enterprises. She rarely loses. Luckily. Professional tennis: high pressure, high profile. But what is the impact on young players? What happens when the line between privacy and the public is crossed? No one knows better than Jordan Myles, former tennis champion and sports therapist, who works with the top players and aspiring champions, all drawn to the Desert Springs Sport Science Training Center. Their goal: achieving the Total Zone, when the mind and body are in perfect harmony and winning is inevitable. I bought this book after looking at the person who wrote it, a person who has lifted a trophy in Grand Slam tournaments 59 times, Martina Navratilova. For starters, I didn’t even know that she was also had a crack at writing, that too fiction – based in the world of tennis. There is a co-author, Liz Nickles, but I am unsure about the extent of her involvement. The novel’s central theme is the life of a sixteen-year-old teenage sensation, Audrey Armat. The parents of Audrey have absolute control over her life – where she goes, who she meets, her endorsements, her style of play, her diet; and has been coached by her father since six. Lately, she has been experiencing a lot of health problems and that is when she is brought to Jordan Myles, a former tennis champion (including grand slam tournaments) who now works as a physiotherapist post a career ending injury. Things don’t go on well between Jordan and Audrey’s mother, especially when Audrey goes missing and she places the blame on Jordan and her organisation. Jordan suspects extreme abuse on Audrey at the hands of her parents and decides to uncover the mystery behind her going missing. It was a reasonable premise that the author had and yes, she is someone who knows entirely as to how the system works – who are the persons involved, to what extent sponsors and endorsements have a role, the role of administrators and the games that they play. Jordan had quite the adventure, stretching from New York to California to Florida and then on to the UK (for Wimbledon) with public perception going increasingly against her following the lawsuit from Audrey’s mother. However, the author’s only effort had been to try and build the character of Jordan Myles – as to who she was, her past, her planned future and what she believes in and what drives her. Barring her, no other character was built with such care – be it her colleague Gus, or the detective who helped her – Fish, her journalist friend Cas or even that of Audrey. Very often, reading her book felt like reading a tennis’ players journal – when she described how to play a particular shot or about achieving the ‘total zone’ – that is perfect mind and body harmony while playing. The plot was loose, and begins to unfold very late, after a very slow introduction. 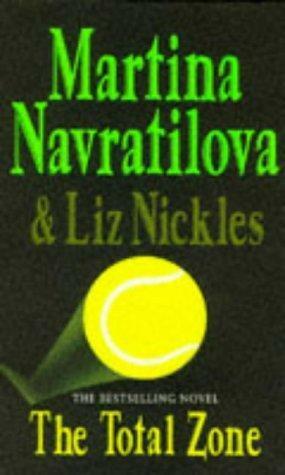 I felt a lot of pages in this whole book was unnecessary, such as the entire Wimbledon saga. However, I did like the part that the author did not try to make herself the protagonist even though she brought a character similar to her into the book – a character named Mariska from Eastern Europe who had defected to the United States. I am sure that the author is more qualified to comment on the situation at Wimbledon than I am but I would say this that by reading this book, one might come to the conclusion that being a tennis player at Wimbledon is possibly one of the most dangerous things that a person could do. This was a thriller novel which had a reasonable premise from an author who could very much put herself in the shoes of the characters but the narration was totally botched up, with uninspiring writing and while she thought of writing a rather gross climax, it just turned out weird and creepy. I did not enjoy reading this book and in fact, took quite some time to complete it and on that note, I award this book a rating of three on ten.